Have you ever found yourself in need of something for whatever project you are working on and just don't have it? Now there is a platform for sharing items with your neighbors that they or you don't need or use all the time. It's called Nehbur, co-founded by Chris Reel from Canada. 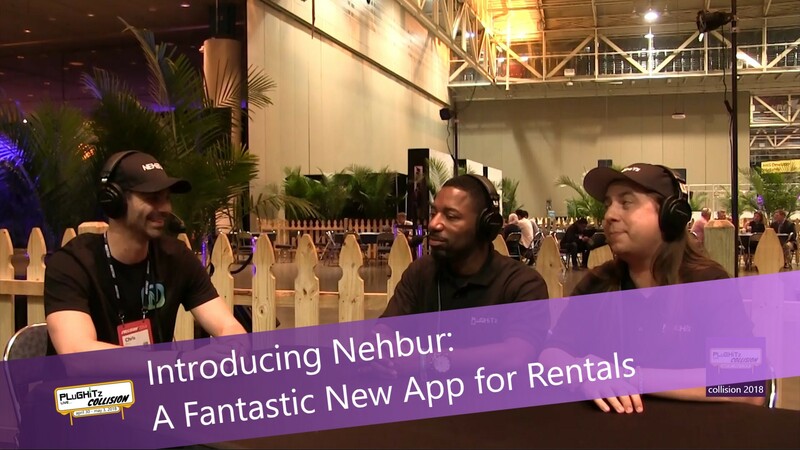 Nehbur is a rental platform designed to provide items to share by renting or selling to your neighbors and friends. The purpose is to try to bring neighbors and communities together in a symbiotic manner. One example is given by Chris. He told of a time when he saw for sale an electronic drum set. He, being an avid drummer, was blown away by the sale price of $100. when they usually go for at least $1400. He called and asked if there was something wrong with the set. The girl told him that there was nothing wrong, but she just had to make her rent. He realized that if she rented the drum set out over and over she would make more than her rent, and possibly recoup her cost of the set AND she would get to keep it! The idea for Nehbur was born. Another very good example is when the PLuGHiTz Live team arrived at Collision and found out we were without monitors. We had to immediately have a late-night road trip to purchase some. If this app had been available, we could have rented them from someone local instead. We were not alone with this problem. The Nehbur team itself had to locate a screen for their booth at Collision. This obviously-needed is not yet available but should be in the near future. For more information on this important app, go to their website.